It’s still snowing! ORDER HERE! Order multiple bundles and free shipping still applies to all! Additional bottles ordered that are not part of a bundle will incur shipping charges for those specific added bottles. Please see our website for which states we ship to. Review our Shipping Policies for more information. Shipments will go out as soon as weather allows! club members special pricing for the month of January. 30% off retail prices for the entire month! NO bottle limit. Buy one bottle, or buy a case, enjoy the perks. Visit us at the winery, or order online via our secure website. Log in on the upper right hand of the purchase page with your username and password for the club discount to apply. There is no code to enter. The discount will be applied when you check out – now until January 31st. Don’t have your username and password? 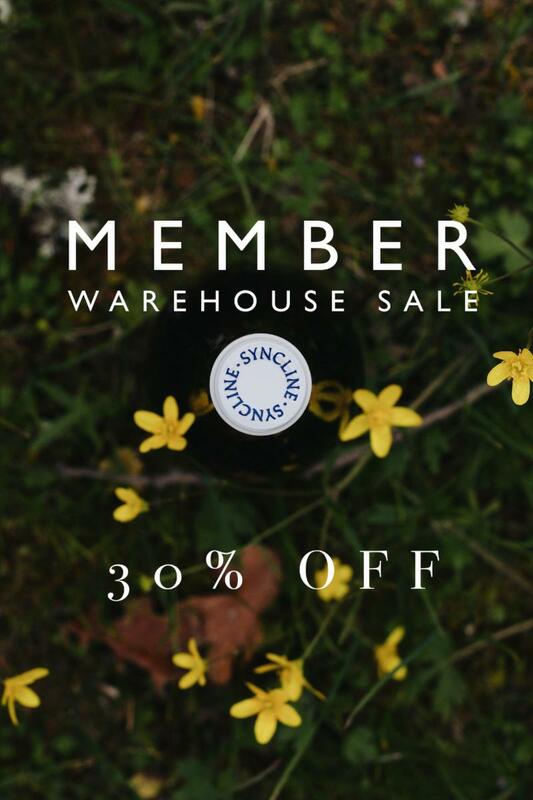 Email lauren@synclinewine.com for your information. All Orders made online MUST be shipped. Keep an eye out for upcoming 2019 events and parties in emails to come.